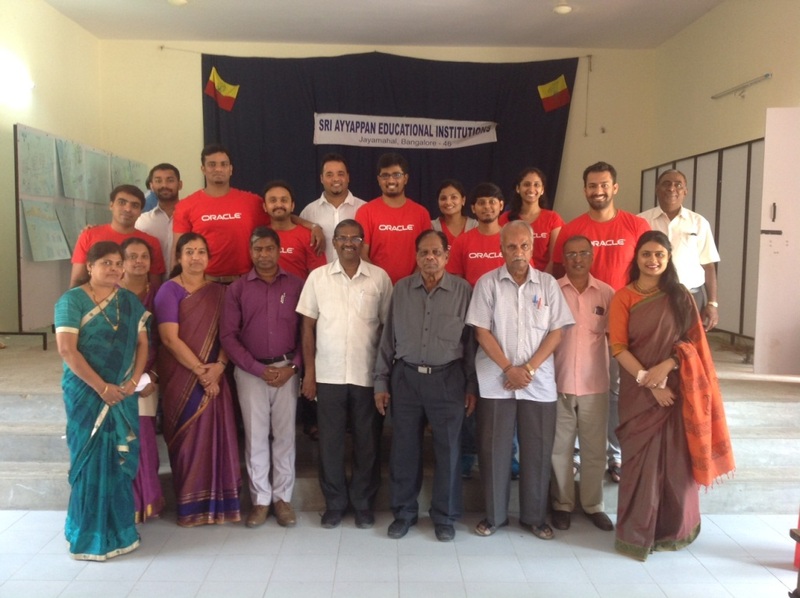 Several senior staff of Oracle visited Sri Ayyappan Bal Gurukul, at Ramasamipalya, Bengalore, and distributed various kinds of stationeries to the children and encouraged them to set high goals and come up well in life. Speaking on the occasion, Mr. Sashidhar, the Secretary of Sri Ayappan Education Trust, said that the Professionals from Oracle stood as a role model for the children. Mr. Thangappan, the President of Sri Ayappan Education Trust, appreciated IDF initiative to support the less privileged children through the Bal Gurukul Program. 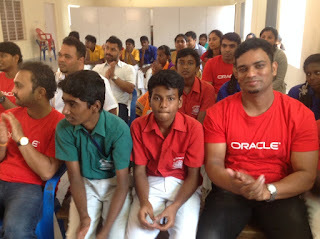 The program was marked with dance programs by the children and a group drawing competition with the theme of India 2025. 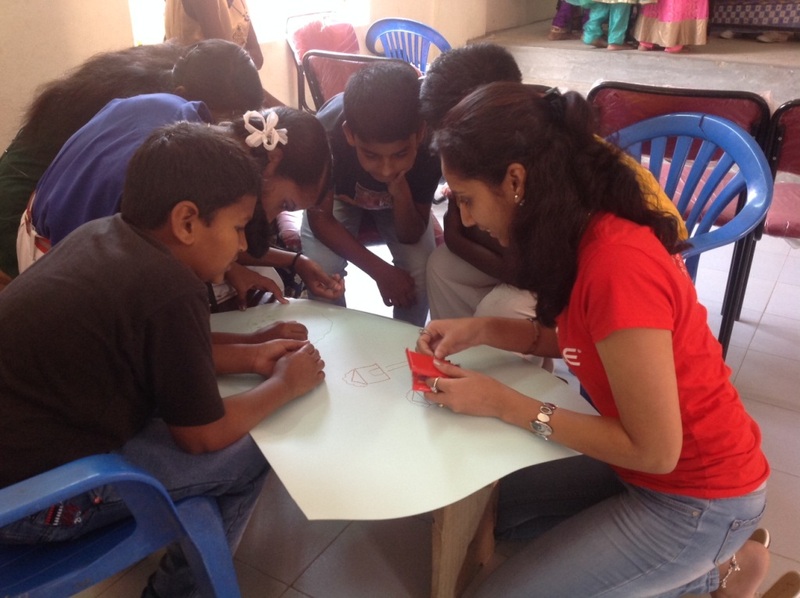 Each one of the team members mentored a group of 5 or 6 six children and they portrayed wonderful ideas. Mr. Srinivas, the Principal, Sri Ayyappan High School, welcomed and Ms. Aliya, the Teacher I/c, Sri Ayyappan Bal Gurukul, proposed vote of thanks. 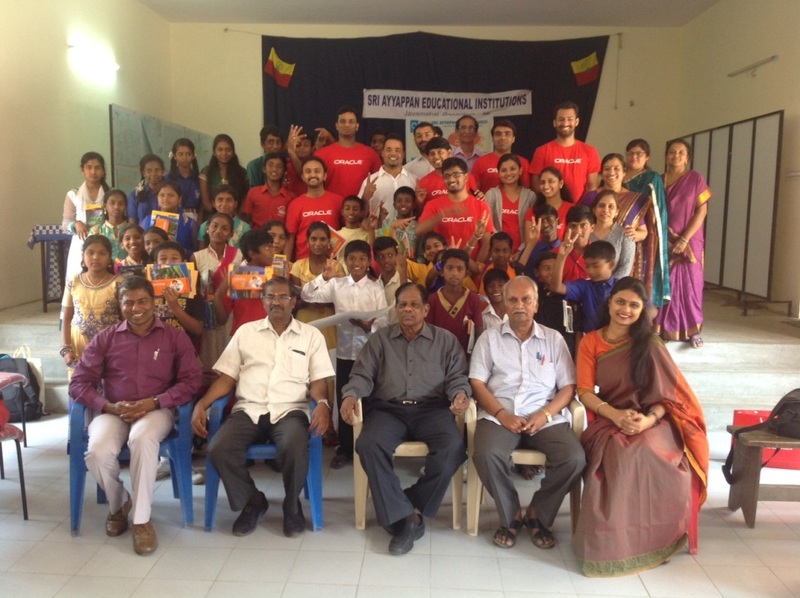 Mr. Prabhakaran, the Admin Officer and Ms. Sujatha, the Headmistress of the school took active part in the event. The simple, yet colourful event was well organised by Ms. Alisha, the Program Director, IDF Balgurukuls, with the support of Mr. Ramakrishnan, Zonal Officer and Mr. Arulraj, the Development Executive.